Calling for all the pet owners! The Kardashian’s longtime hairstylist, Jen Atkin, is launching a dog shampoo under her well-known Ouai hair product brand to give your dog the luxurious locks he/she deserves! Like a spa day for your pet, this gentle shampoo uses time release technology to fights odour and cleanse your four-legged fur baby for an irresistibly pet-able BFF that smells as good as you do. Like Ouai’s human hair-care lineup, the Pet Shampoo omits parabens, sulfates and phthalates. Ouai will be donating 15% of proceeds from sales of the product to the Vanderpump Dog Foundation, which helps to create a better world for dogs globally. 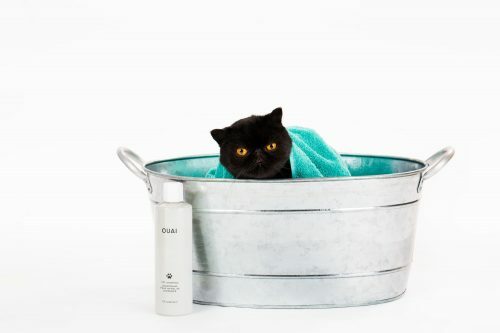 Ouai’s Pet Shampoo will be available beginning on July 12 on TheOuai.com. They ship within US for free for any orders above USD $50, so make sure you are a Buyandship member to get access to our US warehouse.